Update : Sn0wbreeze 2.6 released ! 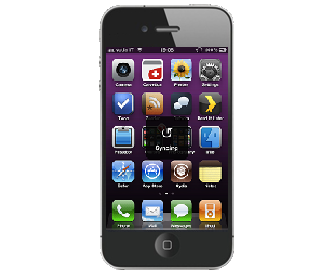 Step 1: First, you will have to jailbreak your iPhone 4 or 3GS on the latest iOS 4.3.2 firmware. Note: DO NOT use Redsn0w. Doing so will result in updating of your iPhone’s baseband, in the process losing unlock, perhaps forever. Use Sn0wbreeze instead. The iPhone Dev-Team has released Redsn0w 0.9.6 RC14 to include support (except for iPad 2) for untethered jailbreak on iOS 4.3.2 using the same i0n1c’s exploit which was used to previously untether 4.3.1.
iOS 4.3.2 was originally jailbroken last week using PwnageTool bundles (on Mac) but it was limited to tethered boot. But now with this latest version of Redsn0w, you can jailbreak your iPhone, iPad, and iPod touch fully untethered on the latest iOS 4.3.2 firmware. NOTE: Those of you who rely on a carrier unlock, STAY AWAY from this update. Step 6: Sit back and enjoy while Redsn0w does the rest for you. Once done, your iPhone, iPad or iPod touch will restart automatically and you will find it fully jailbroken (untethered) on the latest iOS 4.3.2 firmware. 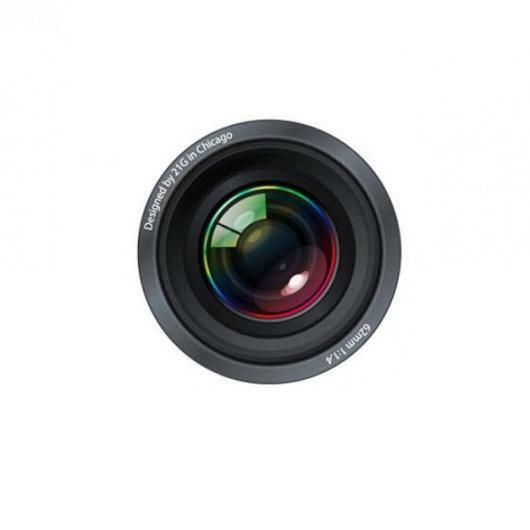 [News] iPhone 5 To Offer 12.6 Megapixel Camera With 1080p Video Recording? Though, no one has yet placed orders for this futuristic sensor, since Apple has previously been including OmniVision sensors, the windows are open. On the other hand, some early rumors with semi-strong basis suggested that Apple will be ditching OmniVision for Sony for a 8MP sensor. Since the iPhone 4 offers magnificent image sensor and Apple has previously been working with OmniVision, there’s a great chance that Apple may stick to OmniVision for OV12825. If this goes as hoped, the iPhone 5 will be a dream phone for photographers. Update : Version 0.3.8.10 released ! iPhoneDelivery is an hack from fguilleme and Advin. This tweak will permit you to enable delivery reports on your iPhone. [News] iOS 4.3.2 released ! 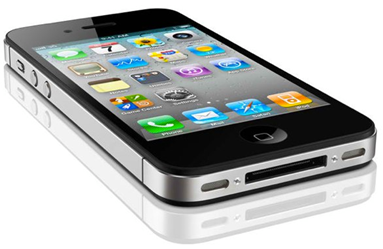 Apple has just released iOS 4.3.2 update for iPhone 4 (iOS 4.2.7 for Verizon iPhone 4), iPhone 3GS, iPad 2, iPad, and iPod touch 4G/3G. This is just a minor update to fix bugs, DNS issues, fix document viewer, FaceTime issues, vulnerabilities and some battery life woes on all iOS devices. To update to iOS 4.3.2, all you need to do is to connect your iPhone, iPad or iPod touch with your computer via USB and start iTunes 10.2.1. You should now see a message prompt as shown below. Simply click on “Download and Install” (Mac OS X) or “Download and Update” (Windows) button to get on to the new firmware 4.3.2. 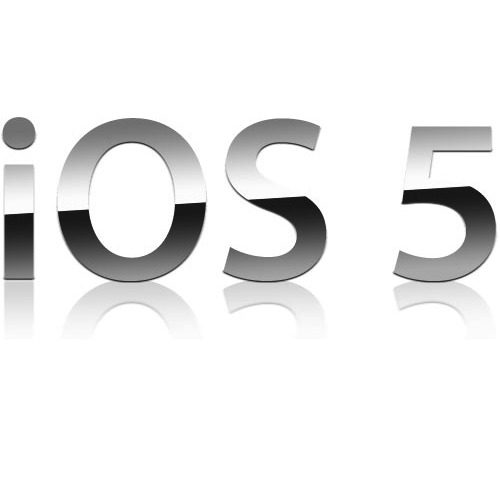 The final version of the last major update, iOS 4.3, was released back on March 10, followed by iOS 4.3.1 on March 25th, 2011. Update : Version 1.1.1-1 released ! Crack is out !! 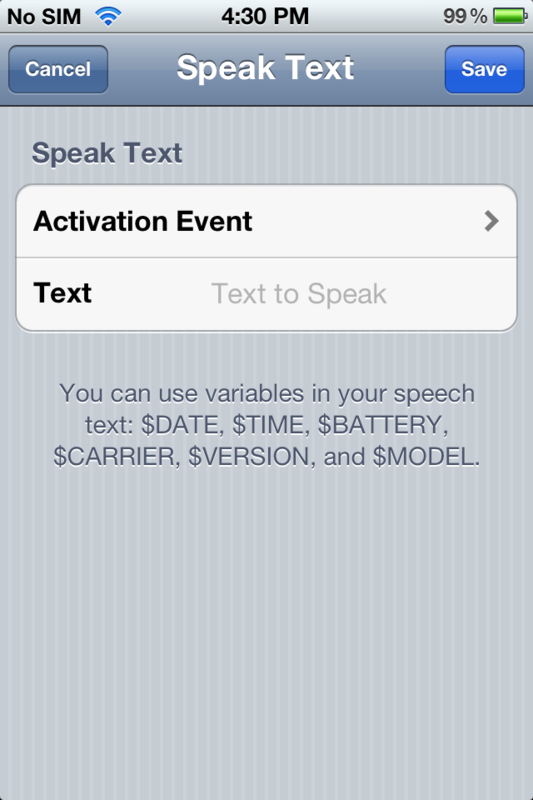 VoiceActivator is the only way to customize iOS Voice Control. 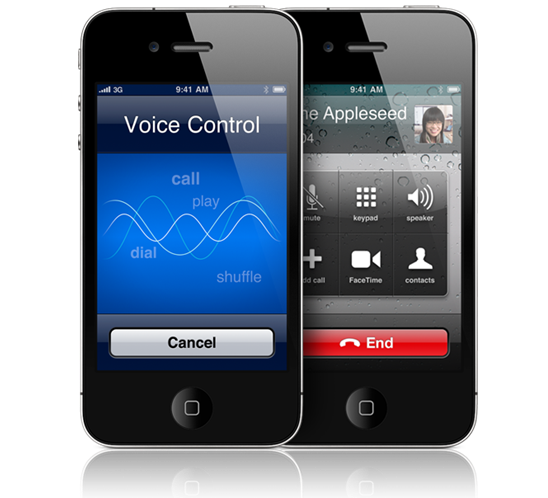 Take control of Voice Control! 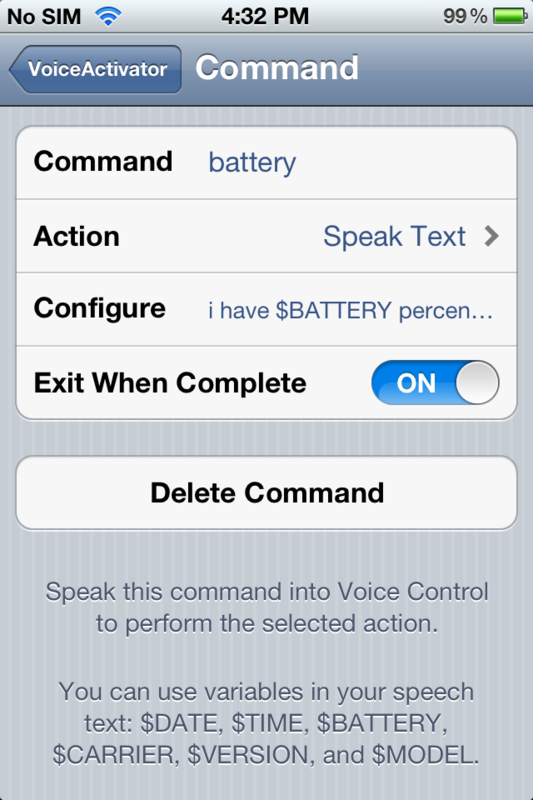 Add new Voice Control commands! Easy to configure; quick to use. Update : Version RC12 released ! 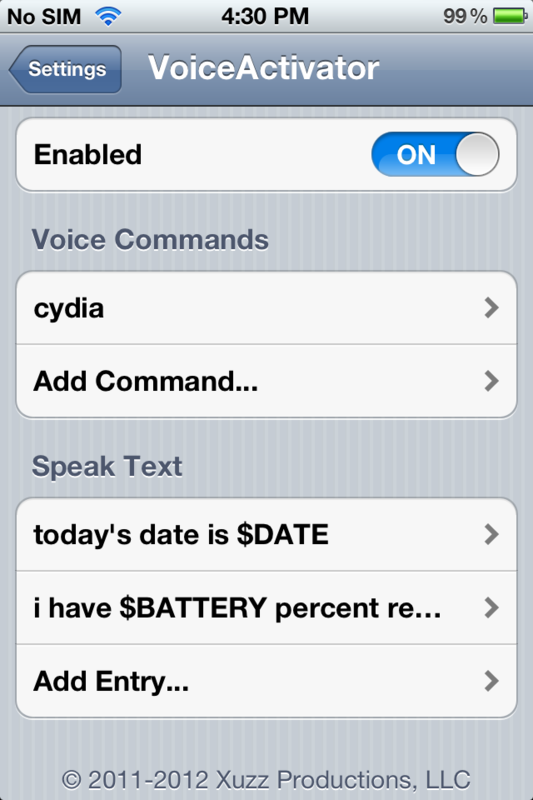 The iPhone Dev-Team has finally released untethered jailbreak for iOS 4.3.1 via Redsn0w and PwnageTool. Except for the iPad 2, this new untethered jailbreak is compatible to work with all devices, including: iPhone 4, 3GS, iPad (1st-gen) and iPod touch 3G/4G on the newly released iOS 4.3.1 firmware. This untethered jailbreak for iOS 4.3.1 is based on an exploit found by iPhone security expert and hacker Stefan Esser, who demoed it on his iPod touch last week before handing it over to the Dev-Team to do the rest. Windows) but it was limited to tethered boot. But now with this new version of Redsn0w and PwnageTool, you can jailbreak on the above mentioned devices, fully untethered on iOS 4.3.1. NOTE: Those of you who rely on a carrier unlock MUST STAY AWAY from Redsn0w and stock iOS 4.3.1 firmware. Use PwnageTool instead. Step 1: Download iOS 4.3.1 for your version of iOS device. Step 2: Update/Restore to iOS 4.3.1 firmware using the IPSW file you just downloaded via iTunes 10.2.1. Step 6: Sit back and enjoy while Redsn0w does the rest for you. 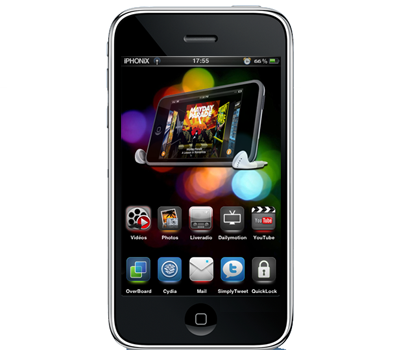 Once done, your iPhone, iPad or iPod touch will restart automatically and you will find it fully jailbroken (untethered) on the latest iOS 4.3.1 firmware. 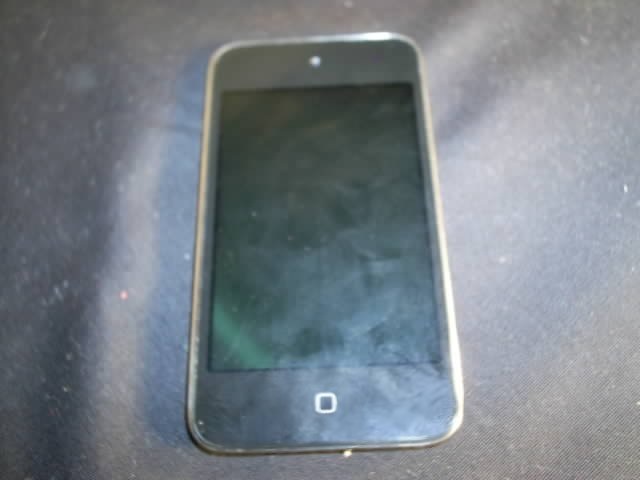 [News] iPod touch 5G Shown In Leaked Photos: 128GB Capacity? Capacitive-Touch Home Button? 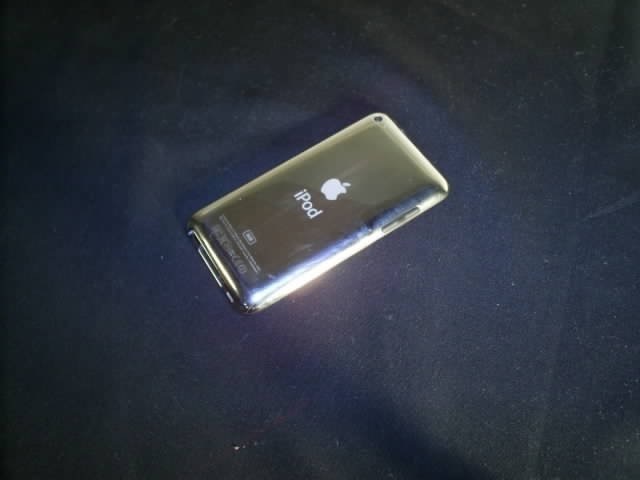 In a welcome departure from all the iPhone 5 talk, MacRumors brings us photos of what one of their readers claims to be the 5th generation iPod touch. 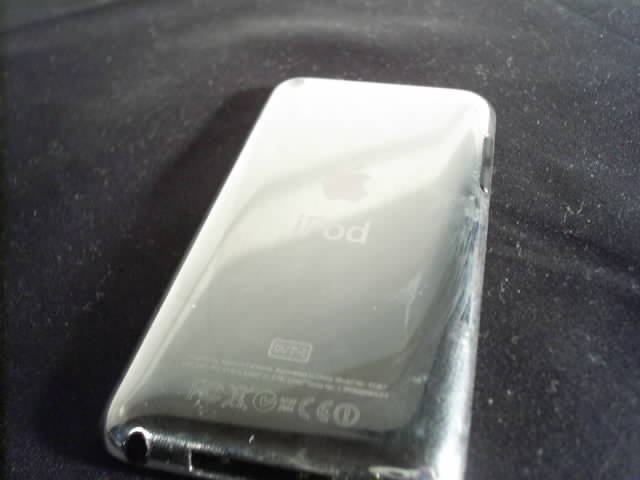 The photos, sent in anonymously claim to show a DVT-1 prototype of the next generation iPod touch and is said to be of the 128GB variety. Of particular note is the apparent capacitive home button that looks to have replaced the current hardware solution. The only other feature worth noting is the all-metal rear plate, similar to that we’ve been hearing rumors of finding its way to the iPhone 5. We’re not sure what to make of these photos and just as everyone else on the internet we’d urge caution when checking out the photos. It could be legit, but it wouldn’t be the first time a good knock-off has fooled us all! Breaking news coming out of BGR, with the blog claiming Apple will be releasing iOS 4.3.2 in just two weeks. 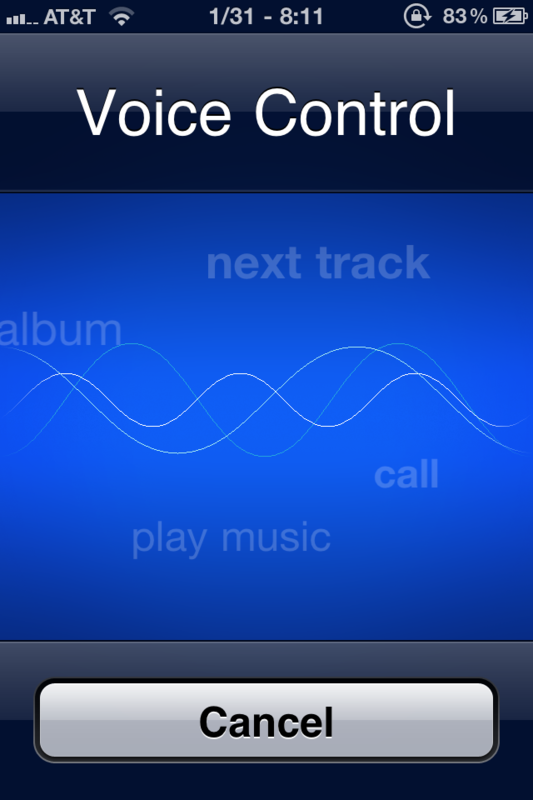 ToneFXs 2.0 lets you customize all the popular sounds on your iPhone. These include custom push notification alerts, custom email alerts, custom email alerts for specific contacts, custom text message alerts for specific numbers, custom calendar alerts and much more. In addition, you can also shuffle multiple tones for all the alerts. It supports using any of your existing ringtones and WinterBoard Theme tones. You can also create your own tones by visiting tonefxs.com and downloading the free ToneFXsCreator. Step 1: Download PwnageTool 4.3 for Mac. 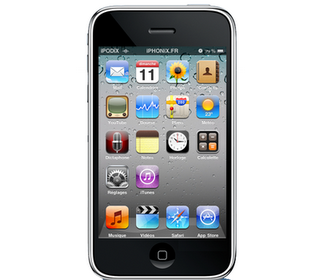 Step 2: Download iOS 4.3.1 firmware. Move all these files to the desktop. 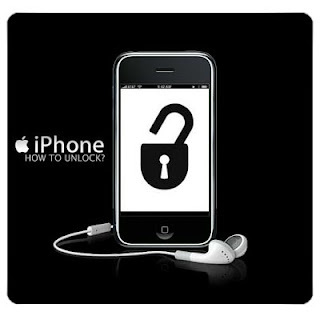 Step 6: PwnageTool will now create the custom .ipsw file for your iPhone, iPad or iPod touch which will be jailbroken. This will make iTunes prompt you to select the location for your custom firmware 4.3.1 file. Select the required custom .ipsw file that you created above, and click on “Open”. Step 9: Now sit back and enjoy as iTunes does the rest for you. This will involve a series of automated steps. Be patient at this stage and don’t do anything silly. Just wait while iTunes installs the new firmware 4.3.1 on your iOS device. Your iOS device screen at this point will be showing a progress bar indicating installation progress. After the installation is done, your iOS device will be jailbroken on iOS 4.3.1. Update : Version 2.5 released ! Crack is out !! FreeSync is a tweak that allows you to use your Device while it's syncing with iTunes, in style. You will be able to make calls, play games, text with your friends or run apps even when your device is syncing, without having to wait for it to finish and without having to worry about incoming calls that can interrupt the sync. You can choose between different visual options that notice you when the sync starts and ends in the Settings. - Status Bar Icon: add a little icon in the status bar during the sync. You can also choose from different icons (iOS Like, Green or Graphite). - HUD : Display a transparent HUD when the sync starts/ends. - Pulsing Bar : Display a red bar during the sync. You can hide it simply double tapping on it. - Vibrate You can also choose to disable particular apps that can interfere with the synchronization process, such as the AppStore, Cydia and the iPod app. You can enable or disable FreeSync in the Settings app or using the FreeSync SBSettings Toggle. FreeSync works on every device with firmware 3.1 or higher: it also works perfectly with Wi-Fi Sync! Update : Version 2.1.1 released ! Crack is out !! Works on iPhone, iPad, and iPod Touches! 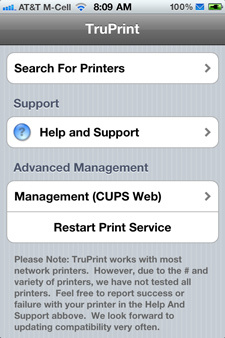 Apple gave iOS 4.2 printing. But they forgot that not everyone has one of 8 printers. 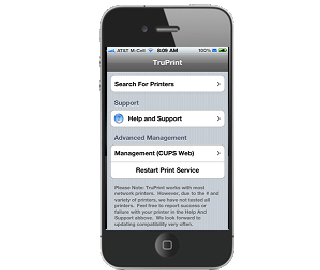 With TruPrint, you can print to most network printers! 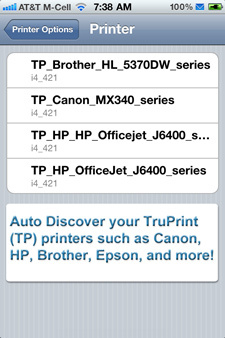 - Print to most network printers!